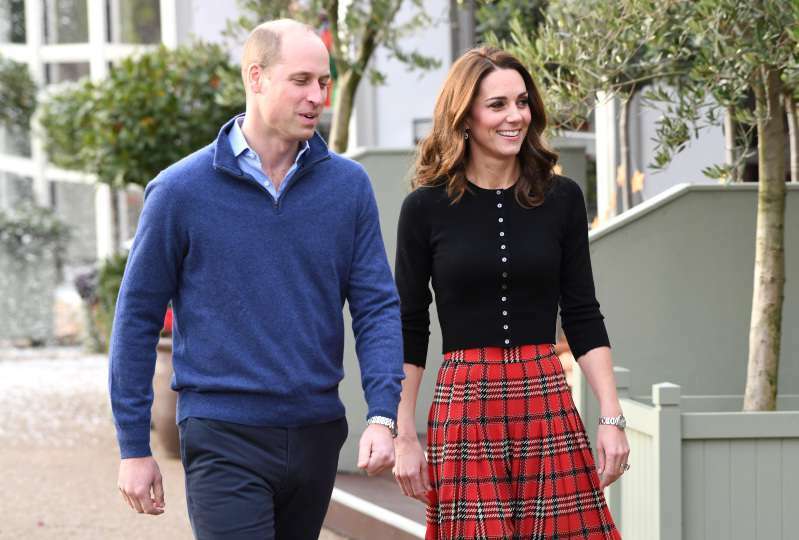 According to the royal correspondent, Prince William and Kate Middleton threw a party today for Royal Air Force (RAF) families and children at Kensington Palace. The royal couple was very interactive, lively, and pleased to talk to families and share some warm words about Christmas time. The Duke and Duchess of Cambridge are known for their golden hearts and down-to-earth-personalities. Kate Middleton was wearing quite an extraordinary outfit, which reminded us a bit of upcoming Christmas (it's probably the skirt). 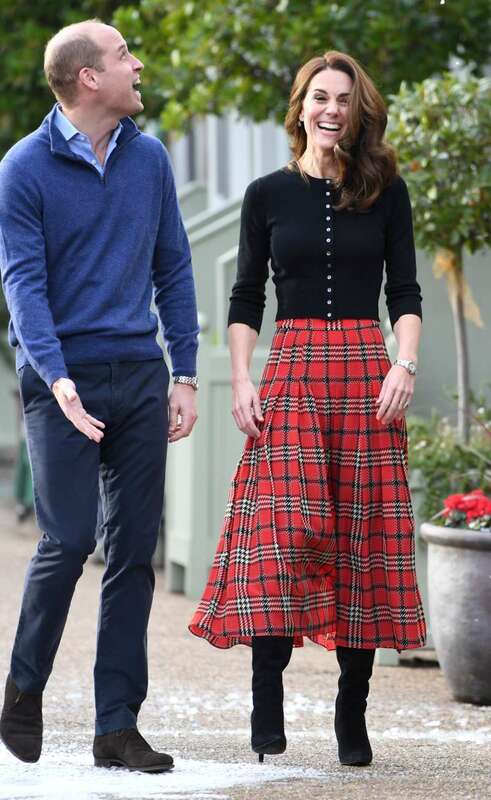 The Duchess chose a long red plaid Emilia Wickstead skirt and subtle black-buttoned Brora top. She matched the ensemble with high suede black heeled boots. Also, Kate decided to wear her hair with large curls, which made her outfit even more beautiful. We do think that the ensemble ideally highlights her slim figure, and who would even think she's the mother of 3 children? It seems to us that royal fans always support Catherine's fashion choices. Moreover, people adore Prince William and Kate as a couple and can't get enough of them! 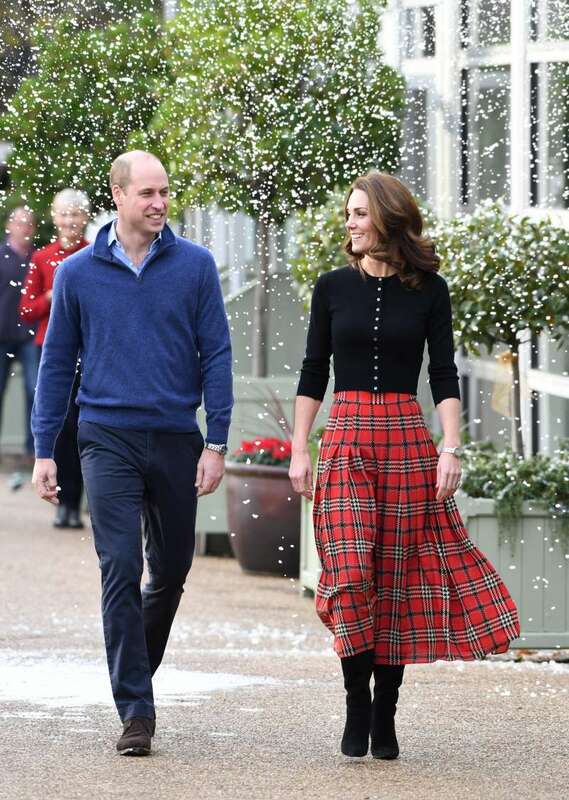 Love the skirt the Duchess is wearing. That's going to be SUCH a good picture! The Duke and Duchess of Cambridge looked delighted, joyous, and active during the Christmas party. We're sure people were pleased to meet them and exchange some thoughts or ideas about one or two things.